Discover Chicago and the surrounding areas from our newly remodeled hotel, located near O'Hare International Airport, The Fashion Mart, Allstate Arena and the Stephens Convention Center! With easy access to three major highways and just a short train ride to downtown Chicago, the Best Western at O'Hare makes it easy to explore all that the area has to offer. For added convenience, we offer 24-hour free shuttle service to O'Hare International Airport, less than three miles away. Our hotel also boasts overnight parking for a fee and a Sleep and Fly promotion. We are within walking distance of the Allstate Arena, home to year-round concerts and other special events, and less than three miles from the Stephens Convention Center. Be sure to inquire about our convenient shuttle service to these venues at our guest service desk. Enjoy the excitement of nearby Rivers Casino or explore the shopping, dining, and entertainment options at the Park at Rosemont. Catch a train to Chicago and discover famous attractions like Wrigley Field home of the World Series Champions Chicago Cubs, Lincoln Park and the Brookfield Zoo. Business guests will be right next to Velsicol Chemical , Globe Ground, Philips International and Proctor & Gamble. 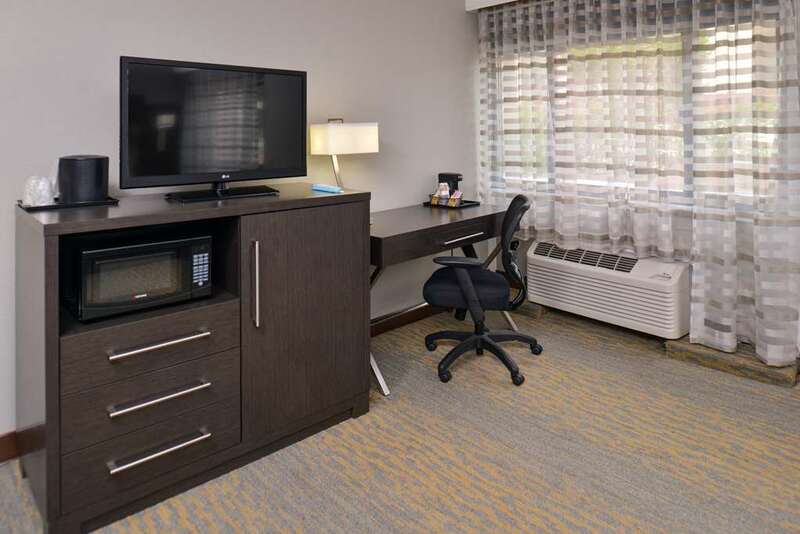 Our newly remodeled Best Western at O'Hare offers spaciously appointed guest rooms has flat screen televisions with HBO and over 50 channels, wireless high-speed internet access. Our guests start there day with a complimentary full hot breakfast located on the first floor, make your own fresh waffles eggs bacon also lots of healthy start selections to choose from. Additional amenities include a fitness center, business center and meeting facilities, making our hotel the perfect meeting venue in Rosemont. For superior customer service and our 24-hour shuttle service located conveniently near Chicago O'Hare International Airport, make a reservation at the Best Western at O'Hare today! Enjoy your stay. Cuisine of India: 5 mile(s) from Cuisine of India, full service, Indian, open for: lunch, dinner, Offers Indian cuisine and a selection of Indian beers, both buffet or off the menu. Starbucks : .2 mile(s) from Starbucks , coffee shop, American, open for: breakfast, lunch, Across from Allstate Arena and Target Shopping Center. Enigma Lounge: Enigma Lounge, on premises, bar/lounge, American, open for: dinner, A modern upscale lounge with 12,000 sq ft. The perfect spot for group needs, events and corporate receptions. Rosewood Restaurant: .5 mile(s) from Rosewood Restaurant, full service, Steak House, open for: lunch, dinner, Great restaurant for entertaining with reasonable prices, can provide private dining rooms and banquet rooms, lunches from $15, dinners from $30. Cold Stone Creamery: .3 mile(s) from Cold Stone Creamery, ice cream/dessert, American, open for: lunch, In Target shopping center, next to Allstate Arena. Kampai Steakhouse: 5 mile(s) from Kampai Steakhouse, full service, Japanese, open for: lunch, dinner, Japanese Steakhouse, suitable for entertaining. Also has a full service Sushi bar. Located on Oakton and Elmhurst Street, next to Cuisine of India. Subway : .3 mile(s) from Subway , fast food, American, open for: lunch, dinner, In Target Shopping center, next to Allstate Arena. Morton's Steakhouse: 1.5 mile(s) from Morton's Steakhouse, full service, Steak House, open for: lunch, dinner, Upscale dining, excellent choice for entertaining or special events. Dinners from $40. Chili's: .3 mile(s) from Chili's, full service, American, open for: lunch, dinner, Next to Target shopping center and Allstate Arena. Casual Dining, lunch from $10, dinner from $15. Chipotle: .3 mile(s) from Chipotle, fast food, Mexican, open for: lunch, dinner, Mexican fast food, in Target Shopping center, next to Allstate Arena. Romano's Italian Restaurant: 2 mile(s) from Romano's Italian Restaurant, full service, Italian, open for: lunch, dinner, A local institution, has been in the family since the early 1950's. Serving huge portions. Located on Oakton street next to the Black Ram. Black Ram: 2 mile(s) from Black Ram, full service, Steak House, open for: lunch, dinner, Suitable for entertaining, on Oakton Street, dinners from $30. Cafe Zalute: .4 mile(s) from Cafe Zalute, full service, International, open for: lunch, dinner, Casual dining, free wireless Internet service, lunch from $10, dinner from $18. Shoeless Joe's Sports Bar: Shoeless Joe's Sports Bar, on premises, bar/lounge, American, open for: lunch, dinner, Kitchen is open from 11:00 a.m. to midnight, bar is open to 4:00 a.m. Free wireless Internet. Giordano's: 1 mile(s) from Giordano's, full service, Italian, open for: lunch, dinner, Serving Chicago's famous deep dish pizza as well as a full Italian menu. Also offers delivery service to your room. Carlucci's Restaurant: 1 mile(s) from Carlucci's Restaurant, full service, Italian, open for: lunch, dinner, another great restaurant suitable for entertaining. Lunches from $15, dinners from $30. Ram Restaurant & Brewery: .5 mile(s) from Ram Restaurant & Brewery, full service, American, open for: lunch, dinner, Casual dining, next to FedEx Kinko's and another Starbucks. Lunch from $10, dinner from $25. Taco Bell: 2 mile(s) from Taco Bell, fast food, Mexican, open for: lunch, dinner, Located in K-Mart parking lot, along with other fast food options nearby, Arby's, KFC, Dunkin Donuts. NIck's Fishmarket: .2 mile(s) from NIck's Fishmarket, full service, Seafood, open for: lunch, dinner, Located one block east of the hotel on Higgins Road. Pine Grove: Pine Grove, on premises, full service, American, open for: breakfast, lunch, dinner, open daily. Recently updated menu options. Free wireless Internet. Chang Jiang: 2 mile(s) from Chang Jiang, full service, Chinese, open for: lunch, dinner, Chinese buffet located on corner of Oakton Street and Lee Street. Across from K-Mart shopping and other food stores. Harry Caray's: .2 mile(s) from Harry Caray's, full service, Steak House, open for: lunch, dinner, Chicago Cubs famous announcer, casual dining, lunch from $15, Dinner from $25. Maria's Mexican Restaurant: 2 mile(s) from Maria's Mexican Restaurant, full service, Mexican, open for: lunch, dinner, Ask for Maria! Excellent restaurant off the beaten path, should make reservations on weekends or during conventions. Lunches from $10, dinners from $15. Gold Coast Dogs: .3 mile(s) from Gold Coast Dogs, fast food, American, open for: lunch, dinner, In Target shopping center, next to Allstate Arena. Shopping - .2 mile(s) from Starbucks , coffee shop, American, open for: breakfast, lunch, Across from Allstate Arena and Target Shopping Center. Golf - .3 mile(s) from Gold Coast Dogs, fast food, American, open for: lunch, dinner, In Target shopping center, next to Allstate Arena.